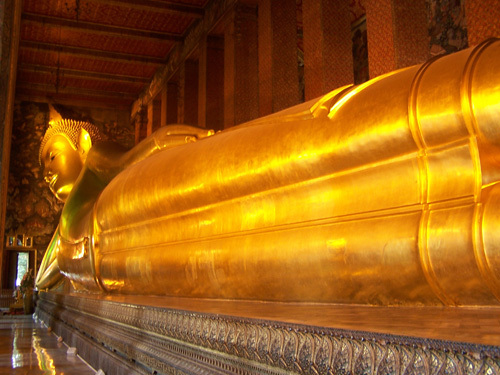 This tour only takes half day to introduce you to the history, grandeur, and myths of historic city like Bangkok. 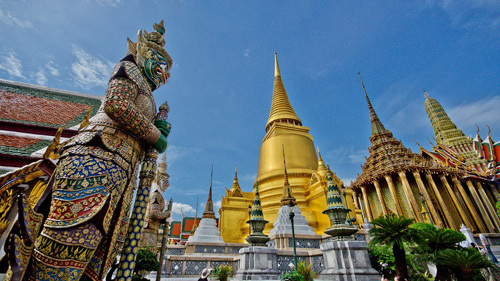 The Thais call Bangkok “Krung Thep” which literally means City of Angels and it really lives up to its name. 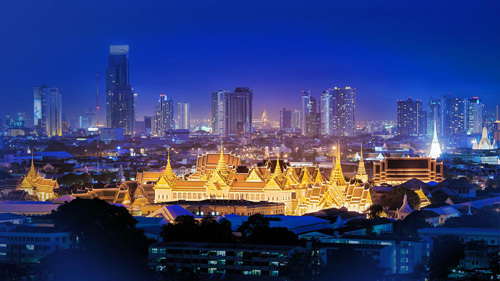 Bangkok was established by King Rama the first in 1782 when Siam (Thailand’s name back then) was still reeling from the loss of the great Ayutthaya kingdom to the Burmese. Siam and its neighboring kingdom Burma and had long been at war and finally in 1767 the Burmese dealt the fatal blow. They breached Ayutthaya defense, seized everything valuable and completely burnt down the great city. King Taksin regained independence for Siam and propelled the Burmese back. Then King Rama the first succeeded him and chose Bangkok as the new capital with the vision of making the city as glorious as Ayutthaya had ever been. You can see clear evidence of this when you visit the old Bangkok (called Rattanakosin island, as it’s surrounded by river and canals). 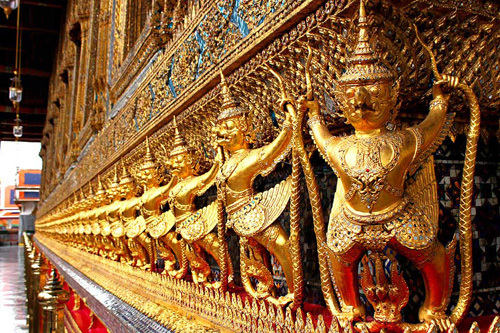 The Grand Palace was erected and its temple Wat Phra Kaew was richly elaborate that it had become the symbol of Bangkok for centuries to come. Many other Royal temples and palaces were found by the subsequent kings and they were almost all very elaborate, beautiful, and one of their kinds. On this driving tour you will get to see many of them. 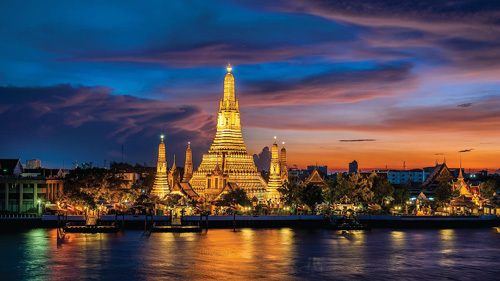 Wat Arun is an iconic landmark of Bangkok. Think of what the Tower Bride is to London and the Eiffel Tower to Paris. 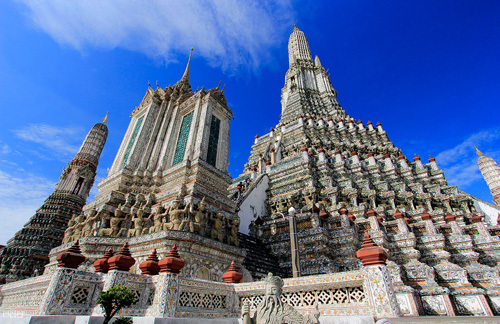 Wat Arun is arguably the comparable landmark of Bangkok. The temple is situated on the bank of the Chao Phraya River and is extremely beautiful when seen from the river, especially when lit up at night. The central Prang (pagoda) rises to 220 ft and is assessable via a series of three steep staircases, to three different levels – allowing aerial views across the river of the Grand Palace and around the Chao Phraya River itself. Note: If it is a very wet day, they will not allow anybody to climb up the Prang as it can be quite slippery. The Prang is unique because it’s ornately decorated with mosaic porcelain covering almost every inch of the Prang, making it reflective to the light. 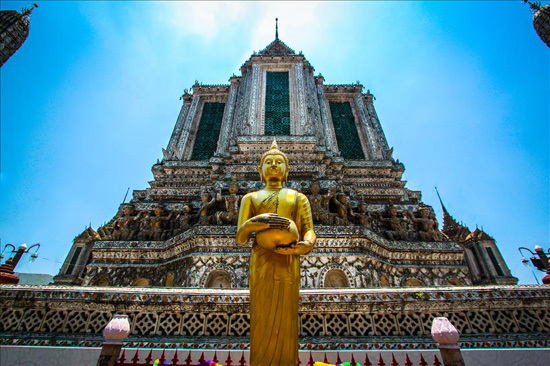 1) Wat Arun visit is optional and only possible only when time allows. It’s via ferry ride across the Chao Phraya River. 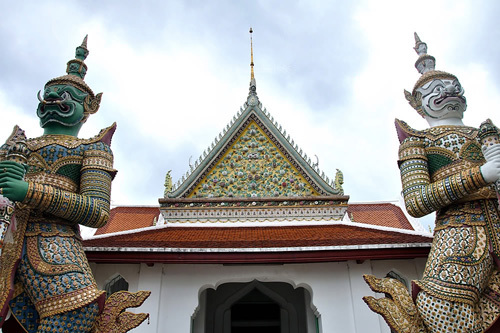 2) Wat Arun is currently under maintenance and the stairs to the top are closed to the public. It’s still worth visiting but you won’t be able to climb to the top.